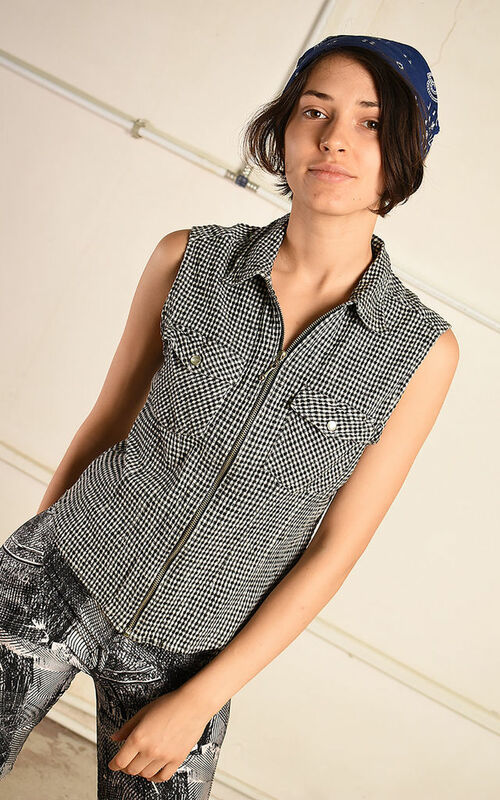 Cool vintage 90's retro checked minimalist Paris chic top blouse gilet. So comfy, so perfect for this season! Zip up, pockets, great condition. Size fits UK 8. The model size is UK 6-8. Length - 54 cm, bust - 86 cm. Delicate wash. Browse our full collection for other matching items. Size fits UK 8. The model size is UK 6-8. Length - 54 cm, bust - 86 cm.